Hurricane unlikely. With each new report, Hector is tracking further south of the island. Maybe Godziila tho. The UAS team (Unmanned Aircraft Systems) flew a mission over fissure 8 to assess conditions within the cinder cone. As shown, fissure 8 contains two small ponds deep within its crater. One pond slowly circulates with an incandescent surface while the other pond is stagnant with a crusted top. USGS image taken August 11, 2018. Latest aerial survey over Hawaii's Kilauea Volcano as it die down and after the storm hit. The park is open to the public again today. Looks like everyone is having a blast. The Tsunami warning system failed to warn people because of damage to cell phone towers from an earlier quake. Eerie images of moving earth and floating objects. Looks like the costal area liquified and started to move with the tsunami water pressure from the sea. At least 844 people have died, according the National Disaster Mitigation Agency (BNPB), with the death toll expected to reach 2,000. A magnitude 5.9 earthquake struck close to Haiti on the evening of Saturday, October 6, according to the US Geological Survey and local authorities. Data indicated that the quake hit around 19km north west of Port-de-Paix, Haiti. An initial assessment of the damages, provided on Twitter by Renald Lubérice, General Secretary of the Council of Ministers of Haiti, said 130 people had been injured in the disaster. According to Reuters who were citing local officials, at least 10 people have lost their lives—seven people in Port-de-Paix and three people in the town of Gros-Morne. Images posted to social media appeared to show structures toppled and victims deceased. The quake was recorded at 00:11:49 (UTC), on October 7 according to the United States Geological Survey (USGS). 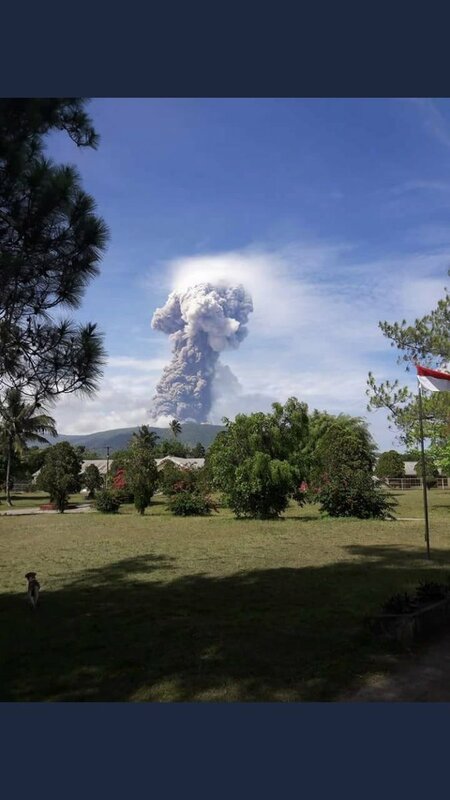 The Haitian civil protection agency confirmed in a statement posted online that no tsunami warning had been issued in connection with the earthquake. “The shock was felt across all [sections] of the country, creating a start of panic in several cities,” the agency said. The confirmed death toll has passed the 2000 mark and climbing. There is a number of 5000 missing people. Most will never be found after the liquefaction that sunk whole areas of the town. Thursday, October 18, is the Great ShakeOut. Join millions of others in practicing safety drills (I didn't know that experts now recommend "on the floor, under furniture" rather than "get in a doorway"). An earthquake has shaken parts of the Texas and Oklahoma panhandles. From what I understand it changed because doorways in new construction are not load bearing. If you're in an older building, the doorway is still a pretty good option. I live in a 200 year old home. I'd go for the doorway before I'd go under my rickety fiberboard table. I doubt it could bear my weight, much less the weight of bits of ceiling crashing down. ETA: And I've thought about this extensively because I live near a fault-line that hasn't had a good shake in far too long. I'm in NH, so we don't get movies made about our potential disasters. Up here, they basically built a highway over a fault line because the cracks in the rock made it really easy to shove a stick of dynamite in there. It's the same line that the disaster nuts claim will cut the state in half and cause one unlucky chunk to fall into the ocean. On the bright side, we'd end up with more than 20 miles of coastline. It seems like Seattle is also overdue for a quake (but we humans have a hard time understanding how probability works). Over the last few days, I have seen a large number of injured wild animals (three racoons in two separate incidents and a great horned owl!). I know some believe that erratic animal behaviour may be a harbinger for a coming earthquake, but I hope it is just coincidence in this case. It seems like Seattle is also overdue for a quake (but we humans have a hard time understanding how probability works). Over the last few days, I have seen a large number of injured wild animals (three raccoons in two separate incidents and a great horned owl!). I know some believe that erratic animal behavior may be a harbinger for a coming earthquake, but I hope it is just coincidence in this case.